Products come and go, but brands can last. Here is why building a brand is more important than any one product. When you first start learning about business. Your head is flooded with ideas and possibilities. Maybe you’ll start this company. After a while, you start to learn that business comes down to two things. Those two things are demand and solving problems. You solve problems with more than a simple motivational post. In the scheme of things, motivational posts don’t hold the true power. The true power is you. You use your power to solve problems for the world around you. Whether that be by entertaining people or groundskeeping. How to figure out what you want to do? There are literally thousands of problems for you to solve. Having too many options dulls your mind. You will have to sit down and make a decision. Chances are that they aren’t even in alignment with what you want anyway. Instead, I recommend that you strip everything down. Forget about your goals and aspirations for now. They aren’t useful at the moment. Your vision needs to be clear. Until you can see clearly, you won’t know where you’re going. Creating your vision is simple. Write down your vision in 5,000 words and strip it down to 250 words. Use a method called script creation. I got the idea of writing down 5,000 words and stripping it down to 250 words from Victor Pride. I walked away from it for the first time with a sense of clarity. Instead of being random, I had an idea of what I wanted. As time passed I forgot I ever wrote anything down. Not surprisingly I had accomplished most of what I wrote down. One of those was living in Los Angeles. The other was publishing a book by 2017. Both of those parts of my vision became real without thinking about it. To live in LA I simply put myself in a position to do it. As for writing my first book, it had been a work in progress for years. 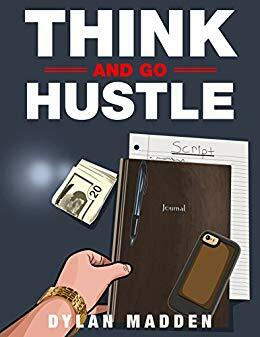 Think and Go Hustle started in mid-2015. From there it evolved as I evolved. By the release date, everything was just right. It all happened naturally. I’ll talk more about that later in this article. Through the years of trial and error, I developed my own method. I call it creating a script. This script takes the guessing work out of your life. You know what and why you’re doing something. What makes the script work so well is its simplicity. It gives you a road-map for creating your vision. To keep things simple I created a Script Creator. 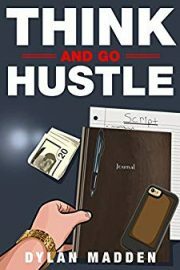 It holds the entire section from Think and Go Hustle on creating your script. In all honesty, the script is the most powerful part of my book. Go ahead and download it for free. They say that people don’t value free stuff, but that doesn’t scare me. I’ve done my part by putting it in front of people. It’s on the reader aka you, to use it. Download the entire section on creating your script here. Now that you’re beginning to understand what your vision is. Let’s move onto the fun part of bringing your vision into reality. Your vision will bring you cash, great adventures, and interesting people. But first, you must figure out your money situation. Most young hustlers put themselves at a disadvantage. They put themselves at a disadvantage by being product focused. This is just another form of the magic pill mindset. They believe that they’ll be a success and finally start rolling in the dough. But when it’s time to sell all they hear are crickets. They only hear crickets because they haven’t taken the time to build their brand. If they would’ve spent all of that time building up an audience, their products would be selling well. They focused more on money than on the people. Hence why being a blogger is a terrible business to get into for 99% of my readers. However, if you take that same time and build a brand. Which is something real, the world is yours. You can take that brand and use it for anything. From selling your own products to getting you your dream job. With a brand, you have real influence and leverage. Building a brand gave my friend a major record deal. When I say major I’m talking about over 6-figures. All he did was build up an audience on several platforms by putting out his music. A fan of his happened to know a power player and the rest is history. So go ahead and focus on a product if you want. You’ll be signing your death sentence and forever search for your next fix. On the other hand, you can decide to change things up. Your dreams will now start becoming your reality. How to Create Your Brand? Creating your brand is as simple as starting an IG account. Don’t kill yourself before you even start by keeping things simple. After you have your script you’ll know the best platform for your brand. For some, it’s YouTube, IG, or blogging like me. If you’re in high school or college don’t worry. As you grow up you’ll realize that age doesn’t really matter. I was 19 when I built up a good sized sales-team. Every single person other than my friend was over 27 years old. They didn’t think anything about my age because I knew what I was talking about. This is one of the benefits of why building a brand is more important than any one product. Even though we were selling insurance, my brand was what they bought into. Building a brand gave me credibility, authority, and ultimately money. I wasn’t anything special. 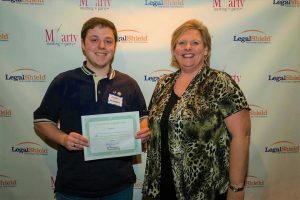 I was just an ordinary 19-year old that had an idea of what I was doing. So please do me a favor if you really do want to do this whole hustle thing. Build your brand before you come out with a product. If you do, the money and life that you want will follow. Next Read: 7 Deadly Sins of Being a Young Hustler. Thank you for your support PJ. Also, I got your email and will respond to it later this evening.